Arghya Sengupta is the Founder and Research Director at Vidhi. He is an alumnus of National Law School of India University Bangalore and the University of Oxford where he was a Rhodes Scholar. While, at Oxford, he completed his D.Phil. on Independence and Accountability of the Indian Higher Judiciary and was a Lecturer in Administrative Law. His areas of specialisation are constitutional and administrative law. 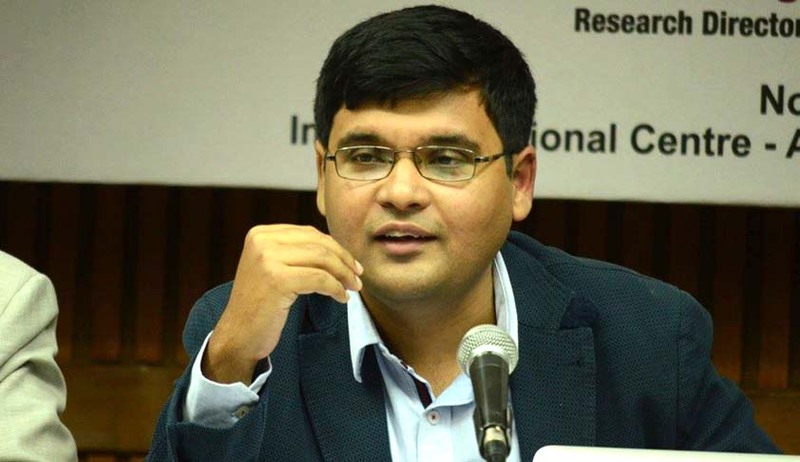 He has a number of academic publications on the Supreme Court, Parliament, fundamental rights and federalism and writes regularly for The Hindu, The Times of India and the Economic and Political Weekly. He spoke to Livelaw on contemporary issues of interest. Q. In your article in The Hindu recently, you were very critical of the Supreme Court's recent judgment in Nabam Rebia vs Deputy Speaker, because, in your view, it is the first time the Court has used the Basic Structure Doctrine (BSD) as an interpretative tool rather than as a ground to strike down Constitutional amendments. What are likely to be the consequences of using the BSD as an interpretative tool? The court, in fact, claims that it resorted to harmonious construction to arrive at the conclusion that the Governors have no unlimited discretion under Article 163(2). A: I think the Supreme Court reached the right result in Nabam Rebia albeit by laying down some excessively expansionist law on the point. While Governors not having unlimited discretion might be practically desirable, it flies in the face of Article 163(2). And when a facet of the basic structure, say judicial review, is to be measured against the words of the Constitution, as originally framed, the words of the Constitution must prevail. This is my chief concern about this judgment. Q. The Court in Nabam Rebia has relied on the Constituent Assembly Debates, too to reach its conclusion on Governor's discretion. You seem to disagree with the Bench's reading of the CAD in this connection. A: Yes, I do think the Bench's reading of the Constituent Assembly Debates (CAD) is questionable. First, it is important to note that the CAD as a tool for interpretation is useful but cannot be determinative. The Court appears to treat it otherwise (Para 149). Second, the omission of an express reference to discretion in Article 174 (draft article 153(3)) was not because it was felt by the Constituent Assembly that the Governor would not have discretion is summoning or dissolving the Legislature but because specific articles would not mention where discretion would be exercised. That result would be achieved through a reading of Article 163 combined with the said article. So too much emphasis, in my view, was placed, wrongly on the omission of Draft Article 153(3). Q. On the Speaker's power to disqualify, the Bench has held that the Speaker cannot disqualify a member, if a motion of no-confidence is pending against the Speaker. It appears that the Bench came up with this conclusion out of the blue, as there were no arguments on this issue, by the parties during the hearing. What is the relevance of such conclusions, when none of the parties raise the issue in their pleadings? A: It seemed a bit surprising for the Bench to have pronounced on this issue though I am not certain whether or not arguments were raised, as it is not entirely clear from the judgment. If arguments indeed weren't raised, it should not bind future courts. On its merits too it creates grave practical implications as a clear way of ensuring that no defection is ordered by the Speaker is to continually file no-confidence motions against the Speaker. It is a very curious holding. Q. You have been a critic of the National Green Tribunal as well. Can you comment on the recent ban on the 10-year old diesel vehicles in National Capital Territory of Delhi? A: The NGT does not have the democratic legitimacy to order such a ban. Such a ban on a particular type of vehicle, to solve a particular problem in a particular city is not a legal but a policy issue. The Courts must stay out of such issues no matter how grave they might be simply because it is neither their area of legitimacy or competence. The NGT has overstepped its domain now, as it has on several occasions in the past. This might get environmental concerns on the front page of the newspaper but ultimately in the long run will erode the legitimacy of judicial institutions. Q. The latest report of the Vidhi Centre for Legal Policy says you have brought out a report on Parliamentary disruptions, and suggested effective remedies. Can you put these remedies in a nutshell for our readers, and tell us whether it requires more will power from our law makers to try those remedies? Are these suggested remedies only textual, and will they be realistic? A. We have recommended substantive, structural and popular accountability-based remedies. Some of these include structured opposition-led discussions every week, a convention of Prime Minister's Questions both of which have great value in making opposition more invested in parliamentary debate. We have also proposed a Parliamentary Disruptions Index to track MP records in disruptions and create a disincentive. The report may be found here. Q. The VCLP has also brought another report on the drug menace in Punjab, and its introduction says there is an addiction problem to be addressed. Can law help to address it? A. Law certainly has a role in this matter recognising the problem as a social problem rather than a criminal one. A healing touch rather than a heavy hand is required and that is what law reform can help in. Second, it is imperative to re-assess the efficacy of the NDPS Act. The Act has been in existence for three decades and seemingly the drug use and trafficking problem does not seem to have diminished at all; in fact it has flourished. How our laws respond to social realities must be a matter for constant assessment and the NDPS Act should be no exception. Q. You were assisting the Government during the hearing on the NJAC case. The stalemate on the MoP between the Collegium and the Government - how do you think it can be resolved? A. I think it can only be resolved when both sides- the government and the judiciary- are genuinely keen on reforms in the interests of transparency and accountability of the collegium. Unfortunately that does not seem the case at this point of time.